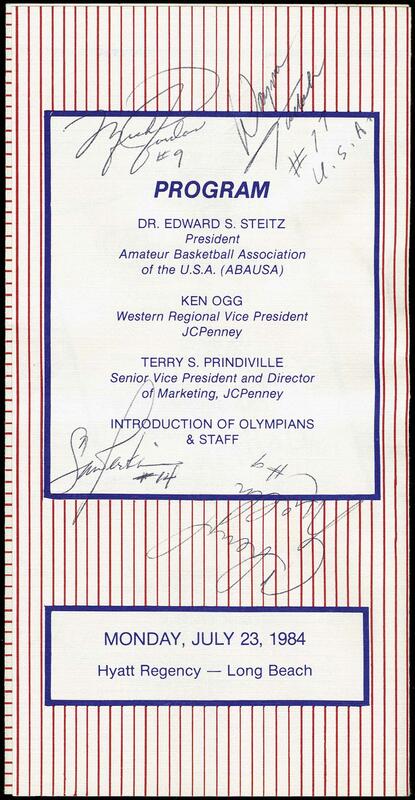 1984 USA Olympic Basketball Autographs on a program brochure titled "JC PENNEY SALUTES THE 1984 USA OLYMPIC BASKETBALL TEAMS". Signatures of Michael Jordan, Wayman Tisdale, Sam Perkins, Pamela McGee, Cheryl Miller and Digger Phelps on/in the program. Also included is an invitation to the event. Very-fine.